​Regular exercise is vital to good health and is the second most important factor in disease prevention after quitting smoking. A workforce that is physically active can benefit your local government by being more productive, having fewer injuries and reducing absenteeism. The exercise and fitness programs offered through the LGIS Health and Wellbeing Program aim to provide your workers with motivation as well as the skills and techniques to stay physically healthy in the long term. All exercise and fitness programs are run by qualified exercise physiologists or sports scientists and can be completed indoor or outdoor with all equipment provided. Pre-screening is conducted to determine whether workers need a physician's referral before starting an exercise program. Thus identifying workers for whom exercise training would be inappropriate, unsafe or require modifications made based on physical limitations. A variety of exercise classes are available and classes can be tailored to all fitness levels. 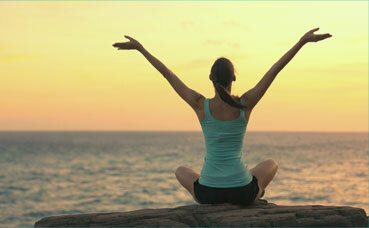 ​The healthy lifestyle programs are designed to get your workers eating healthier, moving more and feeling great. The programs are evidence-based and developed around the principles of behaviour change, educating and supporting workers to develop new habits, skills and knowledge to maintain their health long-term. With a variety of programs on offer, they are aimed at improving the main preventable risk factors responsible for chronic diseases, including physical inactivity, unhealthy diet, smoking and risky alcohol consumption. Stress is consistently rated in the top two self – reported medical conditions of workers in Australia. The evidence based Mindfulness and Resilience Tool helps workers identify factors that contribute to stress as well as provide skills and tips on how to cope with stressful situations. The tool is delivered online and can include pre and post assessments to measure the impact of the program and interventions. Over 4 weeks workers will be taken through modules which include resources, motivational tips, videos, actions and activities to complete. ​Corporate Massage allows workers the opportunity to unwind and recharge. Working long hours and daily pressures’ can lead to higher stress levels, reduced work life balance and overall poorer health. Benefits of massages for workers include reduced stress levels and increased mental clarity as well as increased job satisfaction, productivity and morale. Options include, seated chair massage, table massage and roving ‘at desk’ massages. Influenza (commonly called the flu) is a highly contagious illness that can occur in children or adults of any age. About 20% of Australians are affected by the flu each year with affected workers needing to take on average up to six days off work. With ​flu vaccinations proven to be 70 – 90% effective in preventing the flu in healthy people, this service is an integral offering of the LGIS Health and Wellbeing Program. The flu vaccine is particularly important for people w​​ho are at high risk from the flu and its complications, including people aged 65 years and over, pregnant women, Aboriginal and Torres Strait Islander people, as well as people with underlying medical conditions. Flu vouchers can be made available for workers that cannot attend the scheduled onsite vaccinations. ​As part of the LGIS health and wellbeing program, our panel of service providers offer a range of healthy lifestyle programs that are designed to get employees moving more, eating better and feeling great. Congratulations to the Gingin Gems who took out the Avon Region GOTC in April. Seven shires had teams participating in the online, team-based health challenge, designed to promote and encourage sustainable healthy lifestyle changes. Participants raced along a virtual track logging their daily fruit and vegetable intake and physical activity. © Copyright 2019 JLT Interactive Pty Ltd. All rights reserved.